Ground floor super king bed can be made up as twin. Two small/medium or one large dog accepted. 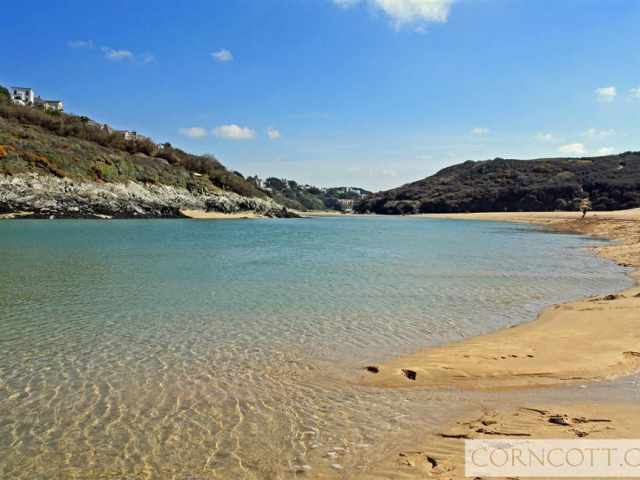 A modern and very comfortable family holiday home nestled in the heart of Crantock village and within a quarter of a miles walk of the beach. 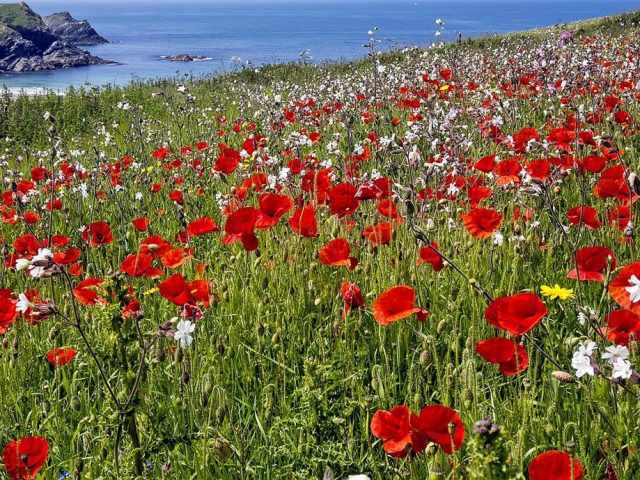 The quieter beach at Polly Joke is less than a mile away and the pretty poppy fields during the early summer are a sight to behold. 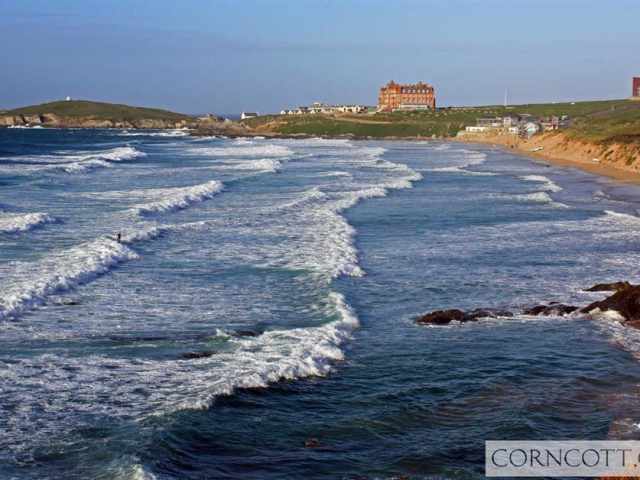 Two popular pubs and a handy convenience store are close at hand with easy access onto the Cornish coastal footpath where you can discover the lesser known but equally beautiful beaches this area has to offer. 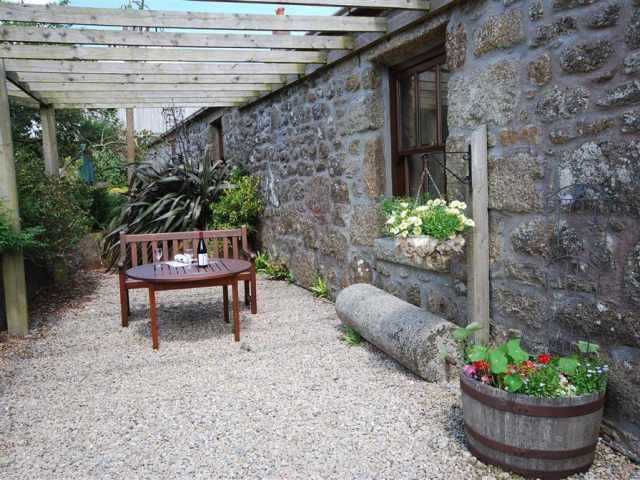 Crantock village has a church, small shops, tea gardens and two pubs which offer food. 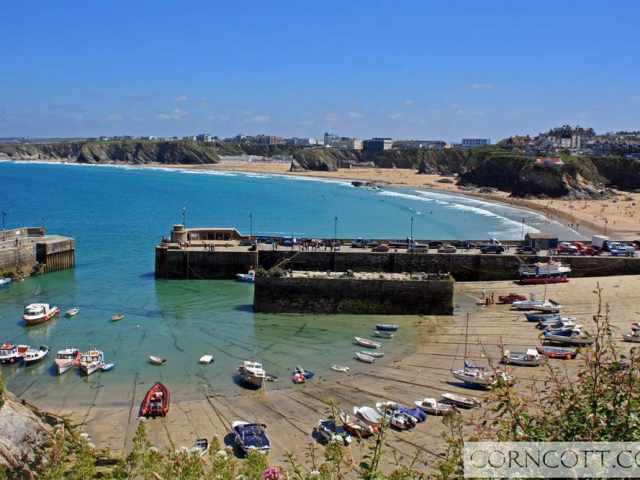 The holiday resort of Newquay is 3 miles by road and has a good selection of shops, cinema, a rail and coach station and many attractions including the Zoo, Waterworld Leisure Centre and Blue Reef Aquarium. 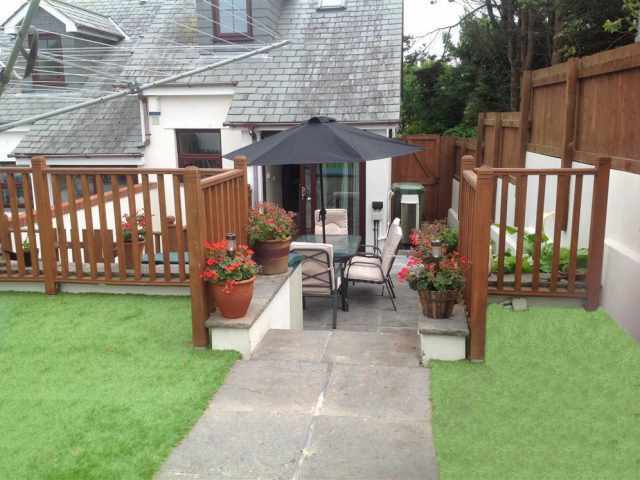 Flip Flops is an end of terrace, centrally heated property with the accommodation set across three floors. 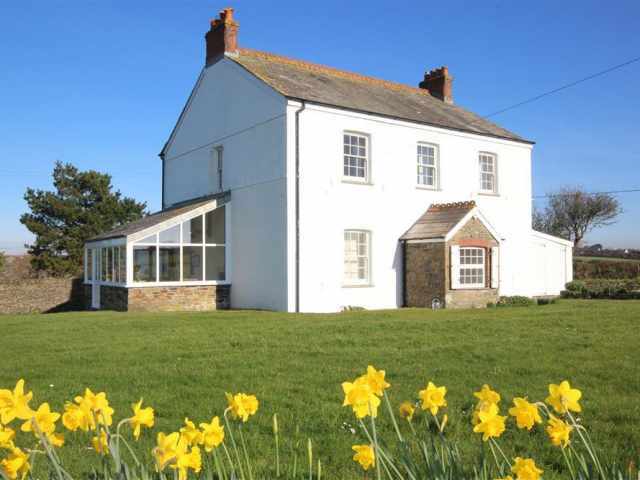 To the ground floor you will find a bedroom with a 6ft superking size zip and link bed and en suite shower room W.C. with hand basin, a twin bedroom and a large family bathroom W.C. with hand basin and shower over the spa bath. A carpeted staircase leads up to the first floor. The first floor is where the open plan living room, dining area and well equipped kitchen can be found. 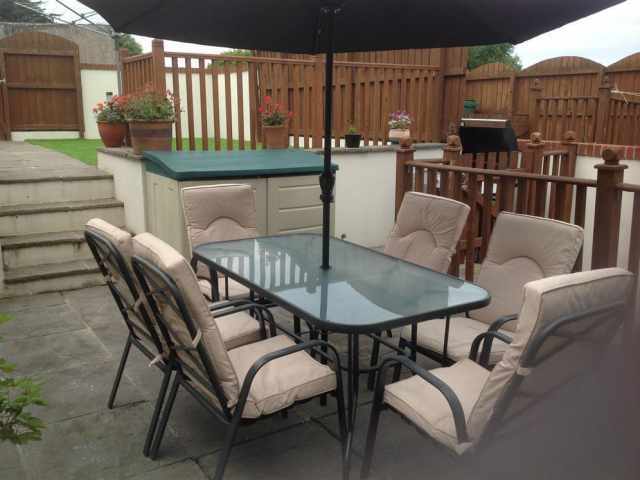 Patio doors from the kitchen lead out into the enclosed rear garden with sunny patio, gas barbecue and garden furniture. Off the living area, a door opens to an internal staircase which leads up to the top floor where there is a second double bedroom with a 5ft kingsize bed, a separate dressing room and adjacent private bathroom W.C. with hand basin and shower over the spa bath. 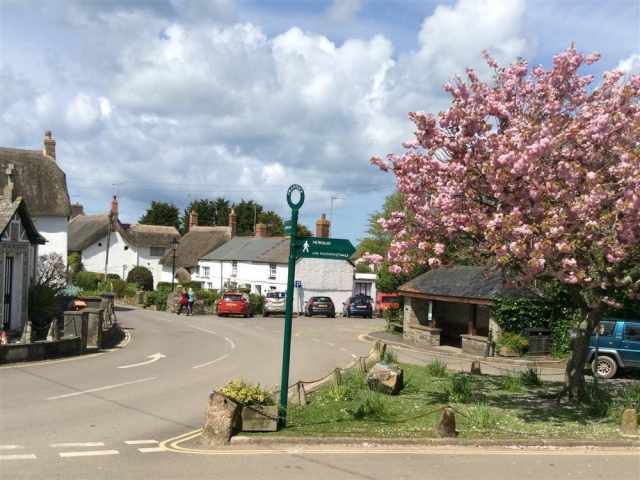 Limited parking exists to the front of the property and is on a first come first served basis however, a parking permit is provided for guests staying at Flip Flops for the nearby village hall car park which is located just 100 yards up the road.